Your health and your life as a whole can be transformed in an instant. Whether it’s the result of disease, illness, an accident or an absolutely random event, you could be left incapacitated and unable to make decisions concerning your medical care or your estate. But with a medical management proxy, Florida residents can rest a bit easier knowing that they can appoint a trusted family member or friend to make those important choices when they are unable to do so. It’s unpleasant to think of a situation where you may be incapacitated to the degree where you’re unable to speak or make important decisions. But the reality is that nobody is immune to the unexpected. Formally selecting a health care proxy is a prudent measure that will give you peace of mind. 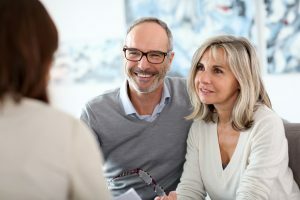 In fact, many clients will opt to complete a medical management proxy form with the assistance of an attorney while they’re going through the process of writing a last will and testament, trust or living will. A health care proxy form must be completed in a very precise manner to ensure that it’s valid in the event that it becomes necessary. At The Law Offices of Thomas J. Lavin, our West Palm Beach lawyers can help you complete your medical management proxy form, in addition to assisting with other matters, such as creating a living will and trust. Our goal is to ensure that our clients’ wishes are fulfilled regardless of what the future holds. If you need help with a Florida health care proxy form, require help designating a power of attorney, or wish to tend to other important legal matters, turn to the trusted legal team at The Law Offices of Thomas J. Lavin. Contact us today to arrange a free and confidential consultation session. Call 561-557-4546. 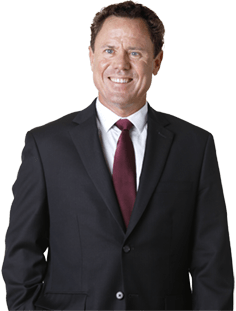 Serving the area in and around West Palm Beach, attorneys with The Law Offices of Thomas J. Lavin can assist clients with everything ranging from a Florida health care proxy form, to a last will and testament, trust or living will. Many have never dealt with these matters before, so we commonly receive questions like “What is a health care proxy?” and “How do I pick a health care proxy?” Therefore, our legal team has compiled answers to these and other important questions. What is the Definition of a Health Care Proxy? A health care proxy refers to a person – or proxy – who is authorized to make medical decisions on your behalf if you are incapacitated or otherwise unable to make your wishes known. When Would a Health Care Proxy Form Go into Effect? In Florida, health care proxies may be authorized to make decisions in the event that a physician finds an individual to be incapacitated and unable to make medical choices due to a physical or mental ailment. In some regions and circumstances, the doctor may be required to certify formally that the person is incapacitated. Situations where a medical management proxy may be authorized to begin making decisions would be a case involving a patient who is in a coma or an individual who is suffering from Alzheimer’s disease. A health care proxy may go into effect on a permanent basis or a temporary basis. How Do I Choose a Person to Serve as a Health Care Proxy? In Florida, you must complete a health care proxy form that formally grants authority to another person whom you would like to make important medical decisions if you are unable to do so. When picking a medical management proxy, it’s wise to choose a trustworthy person who has a good understanding of what you would want in terms of your care. In some cases, an individual may choose a person who would be emotionally unaffected by the situation; someone who may be more equipped to make logical decisions that would reflect your wishes. You may also wish to consider whether the person you choose would stand to gain anything in the event of your death. Sometimes, conflicts of interest can cloud a person’s decisions, if only subconsciously. Your attorney can offer a recommendation if you’re unsure of how to appoint a health care proxy. You reserve the right to revise your medical management proxy documents in the future. Many clients also choose to write a living will, trust and other legal documents. The Law Offices of Thomas J. Lavin can assist with all of these legal matters. Do I Need a Health Care Proxy for Children? Many parents and guardians don’t realize the importance of a health care proxy form for children since the parents or guardians oversee all decisions for a minor child. But there are situations where a parent or guardian may be unable to make decisions on their minor child’s behalf. For instance, if a parent is leaving their young child in another person’s care and the parent could potentially be unavailable in the event of an emergency, then it may be prudent to complete a health care proxy form for children. A health care proxy for a child may also be useful in the event that the parents are incapacitated and unable to make health care decisions for the child. This type of situation may arise if a family was involved in an auto accident, for instance. Change is the only thing that’s certain in life. Unexpected events can occur at any moment, but you can find tremendous peace of mind knowing that you’re prepared if something terrible does occur. At The Law Offices of Thomas J. Lavin, our attorneys are here to assist with your legal needs, including Florida health care proxy forms, living wills, power of attorney designations, trusts and beyond. Our goal is to help each client to make the preparations they need to rest easy knowing that they’ve made arrangements in the event that life takes an unexpected turn. We can help you ensure that you complete your Florida health care proxy form properly so it will be valid if the need ever arises. If you’re ready to start completing your health care proxy form, we encourage you to contact The Law Offices of Thomas J. Lavin. We look forward to discussing your needs in a free, confidential consultation session. Just call 561-557-4546.